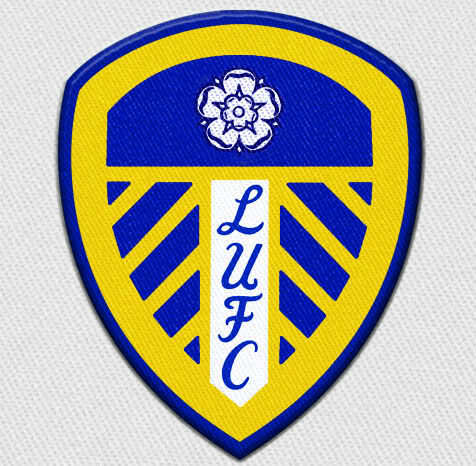 Leeds United must be one of the teams in the UK who have changed their badge the most times, off the top of my head I certainly cant think of any that come close. In total they have had at least 10 distinctly different badges and that’s not including some of the various different colour versions they used on their away kits !! 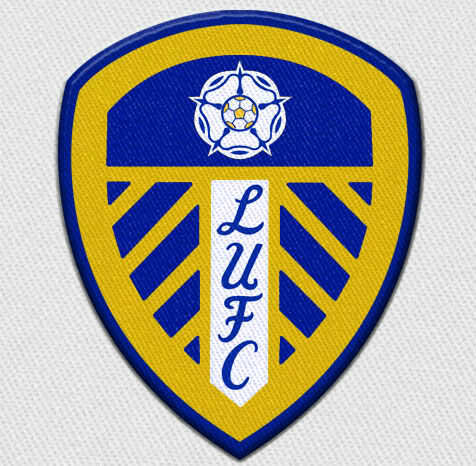 So lets start at the beginning, Leeds United were originally known as Leeds City but due to some financial shenanigans they changed to United in 1919. Its not known for sure what badge, if any, they used when they were City and in the early days when United but what isn’t in dispute is that it was based on the Citys Coat of Arms, a couple of examples of the early badge are shown below. The Coat of Arms is made up of a fleece upon a shield, the fleece being symbolic of the towns main trade in those days, the Owls were there because the towns first Alderman (a type of councillor/politician) was Sir John Saville whose own arms contained 3 Owls, so these were used as supporters of the crest with the third stuck on top. The Latin motto on the right hand side version reads “Pro Rege Et Lege” which means “For King And Law”. Its obviously been replaced by the LUAFC initials on the other example. 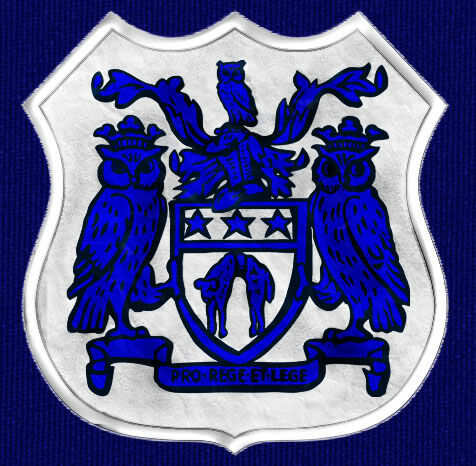 A version of the Coat of Arms lasted until the mid 60s when for some reason Leeds did away with the crest and reverted to a single Owl, no doubt this caused a bit of a furore at the time as the Owl is obviously more commonly associated with Sheffield Wednesday !! 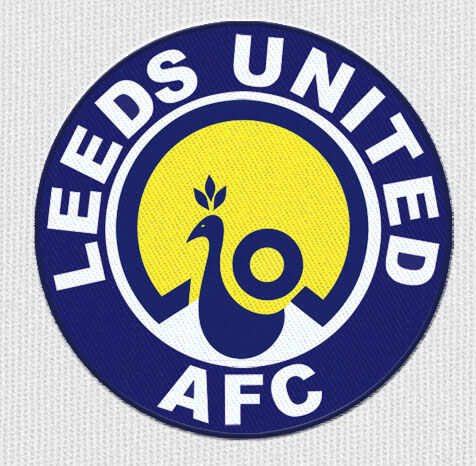 Anyway, legend has it that in 1971 Don Revie declared that birds were bad luck and he wanted a change of badge so they reverted to a simple fancy text version. This lasted a couple of years (but was integrated into a later badge) until a change of shirt manufacturer brought a classic 70’s icon into the world of football badges with the introduction of the “Smiley” badge. To be honest I remember the first time I saw this and I really thought Leeds had gone mental and had put the Smiley logo on their shirt, it was only later I realised it actually spelled out LU for Leeds United !Im guessing I wasn’t the only person who had got it wrong as Leeds did bring out another version a couple of years later that made the LU a bit clearer. As touched upon above the Smiley was actually used on away shorts only in the latter periods of the 70s as from 1977 the home shirt version featured a border with the club name in it. If the above wasn’t confusing enough there were actually instances where the different badges were used in the same game !! 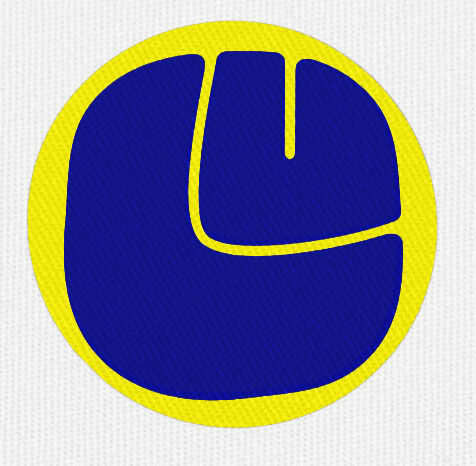 The bordered Smiley continued until 1981 when another new shirt manufacturer, Umbro, was introduced. 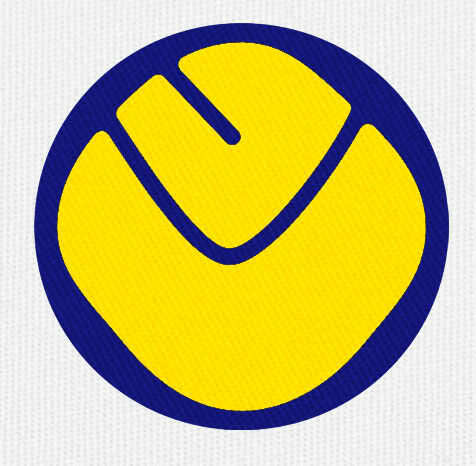 The new badge still featured the named border but with a Peacock inside instead of a Smiley. The Peacock of course signified the clubs nickname at the time. This survived until 1984 when a totally new design was brought in. 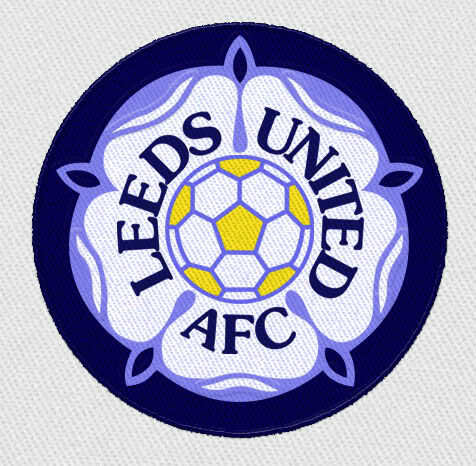 The badge was fairly basic but captured all of the elements of the club, the White Rose of Yorkshire, the team name and of course a football !! 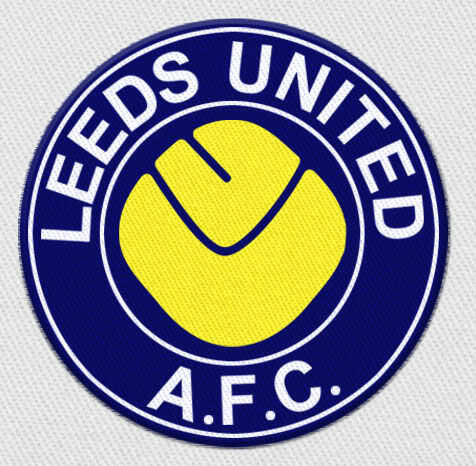 This is the longest serving Leeds badge so far with a mammoth 14 years of use up until 1998 when it was decided that a newer, more European look was needed to coincide with Leeds European aspirations, it did though bring back the classic script text from the early 70s badge. After a year however it was decided to try and reintegrate a little bit more of previous badges into the design and the football returned to the middle of the rose. This of course is the current badge and is well on its way to catching up the original “Rose and Ball” designs lifespan, will it make it????? ?